At a time when Indian shooting is basking in the glory of success at the Asian Games and the ongoing World Championships in Korea’s Changwon, the Sports Authority of India (SAI) has decided against renewing the contract of six Indian coaches while appointing three others, including veteran shooters Mansher Singh and Samresh Jung, without salary on a pro-rata basis. 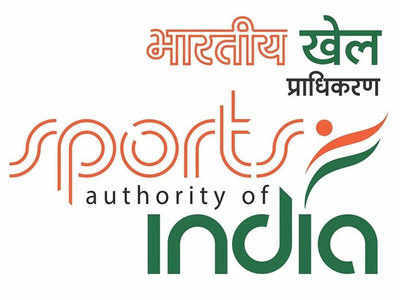 What the sports authority of India is for? SAI’s decision has evoked strong reaction from National Rifle Association of India (NRAI) president Raninder Singh, who, in a scathing letter to SAI and sports ministry officials, has termed the development as “insensitive” and an “affront to our sport and human intellect”, especially when the Indian squad is trying to ensure 2020 Olympic quota places at the World Championships. Questioning the timing of the SAI circular when the Changwon event is on, Raninder termed the development as a “disgrace” to the Olympic movement. TOI tried to contact ministry and SAI officials, including sports secretary Rahul Bhatnagar and SAI director general Neelam Kapur, but they didn’t respond to queries. According to the SAI circular, coaches who have been shown the door are Amarjang Singh, Ved Prakash, Shreyan Kapoor, Jitender Beniwal, N Krishna and Vishvadev Singh Sidhu. Among them, Amarjung (shotgun), Ved Prakash (senior pistol coach) and Jitender (shotgun) are in Changwon where India have already grabbed 20 medals, including seven gold, and are only behind Korea in the leader’s chart. All the above six coaches were cleared to travel to Changwon on “government cost”. Apart from Ved Prakash, all other coaches are from shotgun discipline. Indian shooters are still competing in pistol and shotgun events at the Championships, which will conclude on September 14. According to the NRAI, the association had recommended a total of 22 names to the SAI to be appointed as coaches. A letter in this regard was sent to the ministry and SAI on August 1. According to NRAI officials, Bhatnagar had assured that none of the six coaches would be removed. The remaining 16 coaches have been appointed on a prorata basis (remuneration as per days spent with the team), while four others have been employed on a “full-time” basis, making it a total of 20. Those appointed full-time are Gangadhar Sharma (senior pistol), Shakun Bhugra (junior rifle), Deepak Kumar Dubey (junior rifle) and Vikram Chopra (junior shot gun). Their contract will run for a period of one year from April 1, 2018 to March 31, 2019. Another of NRAI’s grouse is the appointment of Mansher and P T Raghunath (senior rifle) without salary. Samresh has also been appointed on “without salary” basis, but he is employed with the government sector. NRAI wanted Mansher and Raghunath’s appointment as salaried coaches. According to the NRAI, SAI’s logic is that Mansher has also been training at the Madhya Pradesh shooting academy in Bhopal and withdrawing salary on a pro-rata basis. “But, the same logic should also apply in the case of Jaspal Rana (chief coach, junior pistol) and Suma Shirur (junior rifle) who are also involved with the Bhopal academy and getting salary from the MP government on prorata basis,” the official added.